HI everyone! It’s Jen from Jenniferrizzo.com. I wanted to share some fun custom home décor projects some of my fellow bloggers have made with their Cricut! One of the things I love the most about my Cricut, is the fact that I can make custom home décor. 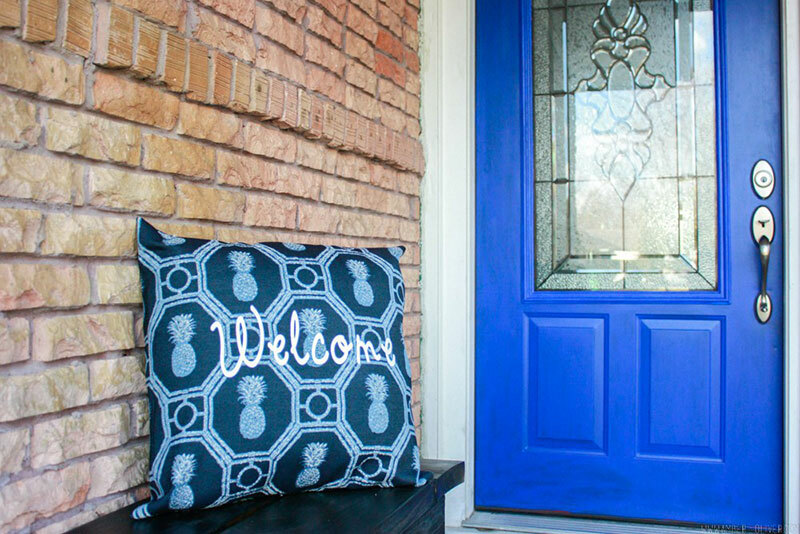 I love how these 5 projects used Cricut iron-on materials in creative ways to bring personal touches to ordinary every day items! PMQ for two created two projects that are not only the cutest thing ever, but look like you could pick them up in your local boutique! 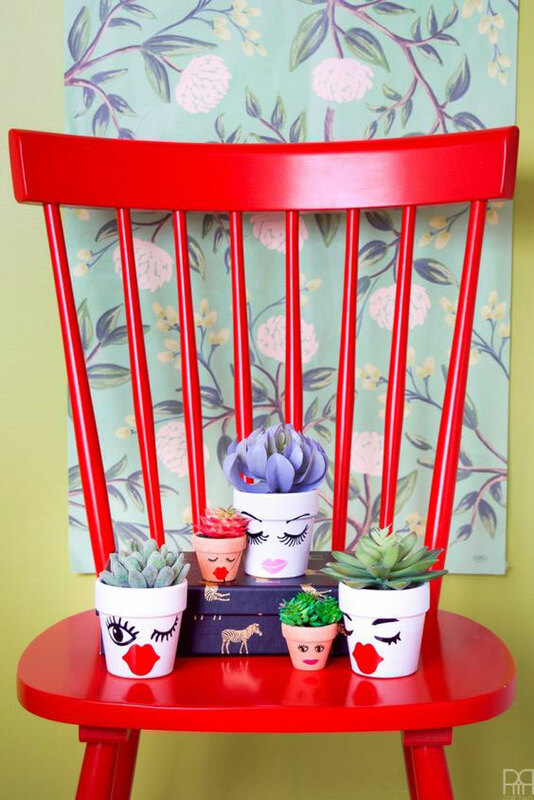 These vinyl face flower pots are a great way to add some personality to your plants! 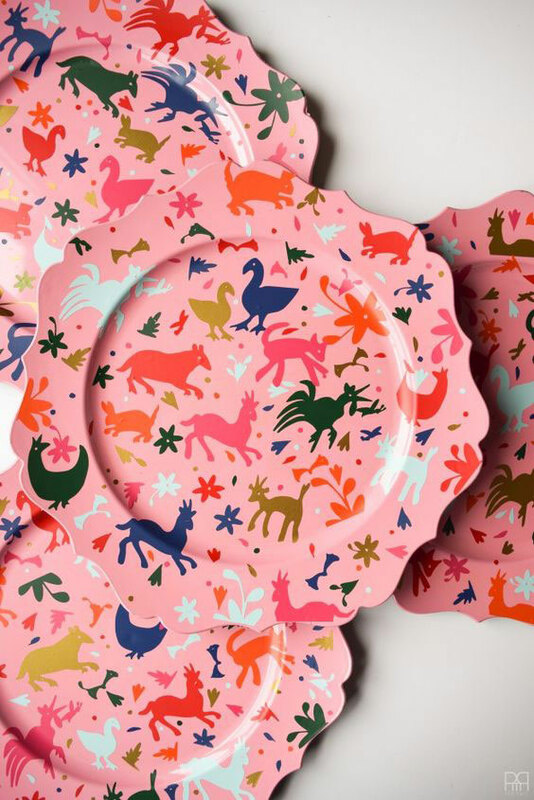 And she dressed up inexpensive chargers with a very fresh Otomi pattern for decorative use (only). These are really cute, and have a fun boho flair! Visit PMQ for two to see the full instructions here. 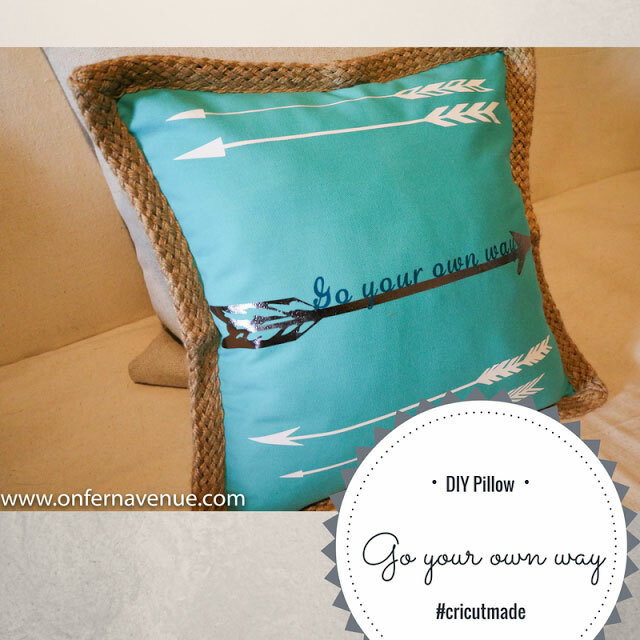 On Fern Avenue made this super cute pillow with the heat transfer vinyl. She was able to customize her daughter’s room with a pre-made pillow and the vinyl! Olive Amber made a custom and very welcoming front entry way with a pillow cans and the vinyl as well. I love how she used a cute, and very trendy pineapple print pillowcase to add her text to. It really pops off her front door and pulls it all together! 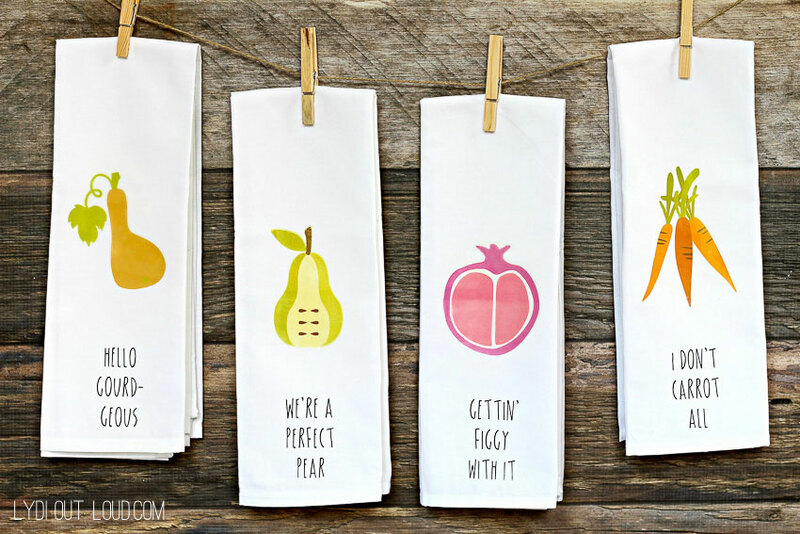 To add a touch of color and fun to your kitchen décor, follow Lydi Out Loud’s example an use the Cricut iron-on lite to make these really creative and cute kitchen towels. These would also make an amazing gift for a Mother’s Day, or even a housewarming gift! I just love all of the options to make custom home décor with the different Cricut iron-on materials. Make sure you visit the blogs linked above for the full instructions so you can make your own!!! For more creative home and decorating ideas visit me at Jenniferrizzo.com. The space is great when it works! It spends more time not working than working. Makes it hard when you I finally get time to accomplish anything and it is not working! Might as well just buy the decorations for my son’s birthday party. At this rate I won’t have anything made in time!